Do you want to make sure your research is as visible as possible, is read by the right people, and measure the effects of sharing your publications more widely? 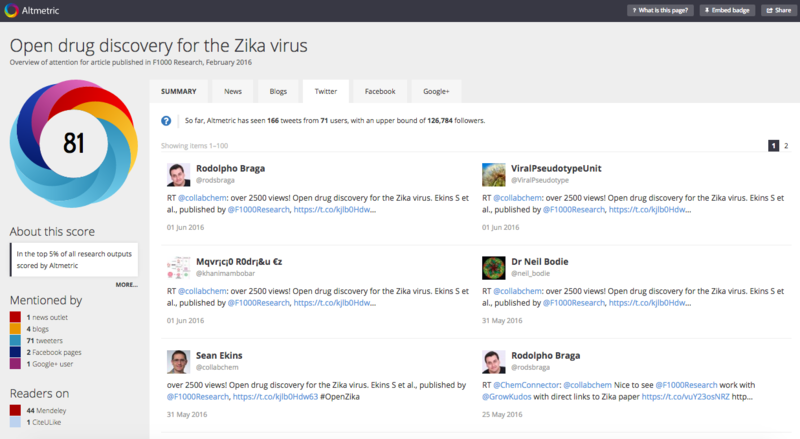 By using researcher service Kudos and Altmetric it is possible (and easy!) for you to do exactly that. Together, the two tools provide a step by step process for disseminating your work and tracking the outcomes. Once your article has been published, you can find it in Kudos and add a plain language explanation which can then be shared by email, or on Facebook, Twitter, and other social platforms, via trackable links. Plain language summaries are intended to make your work more accessible to a broader audience – they make it easier to find your work (because they contain a broader range of possible search terms than the formal language of the work itself), and they help people quickly understand the key points, as you might explain them to a non-specialist (such as a family member): what is the work about, and why is it important? You can also add a personal perspective – perhaps about your particular role in the study, or who / what inspired you to research this topic. 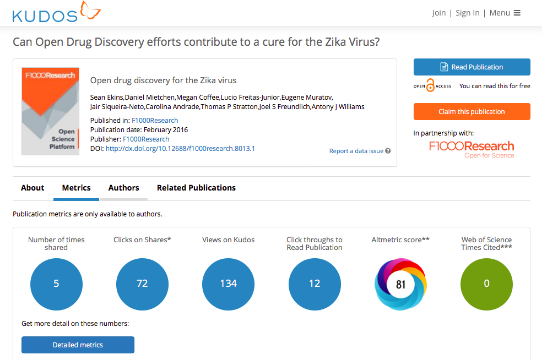 A metrics page on the Kudos site means that you can directly map the success of your efforts against download data from the publisher website, viewer data to reflect the attention for the associated Kudos page for the item, citation data from Thomson Reuters, and Altmetric data to reflect the online attention for both the original article and the Kudos page relating to the publication. Managing your sharing through a system like Kudos that also brings in a range of top-level metrics means that you can better understand your own role in building the visibility of your work – which activities or communications channels are actually leading people to read your work. The relationship between Kudos and Altmetric means that you can then explore the attention your work is receiving in more detail: Altmetric data includes shares and references (or ‘mentions’) in the mainstream media, public policy documents, Wikipedia, blogs and social networks, as well as scholarly sources such as online reference managers, research highlights and post-publication peer-review forums. If your publisher or institution has subscribed to Altmetric, you will be able to see all of these mentions in the details page – you can access this by clicking on the ‘donut’ visualisation (if they haven’t subscribed, you’ll be able to see just the first 4 mentions from each attention source). ‘Why is this important?’, you might ask. 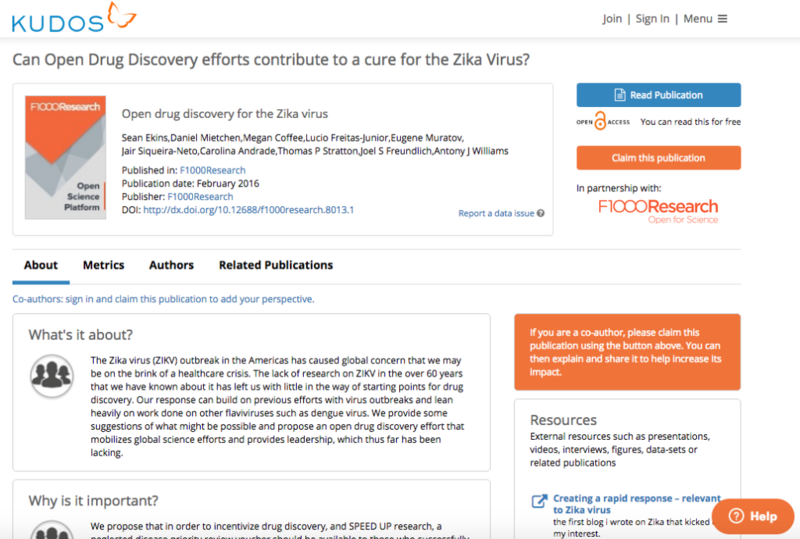 You get to take control of how your research is disseminated! You don’t need to just rely on your publisher or institutional press office to promote it, you can get involved and get your research noticed – in a way that nonetheless does enable your publisher, institution, society or funder to recognise and support your efforts. You can save time by refining your outreach efforts! Being able to see whether it is email, Twitter, Facebook, LinkedIn or other communications that are actually bringing you new readers means you can focus what little time you have more effectively by just using the medium that works for you. You can gather evidence about the success of your efforts! 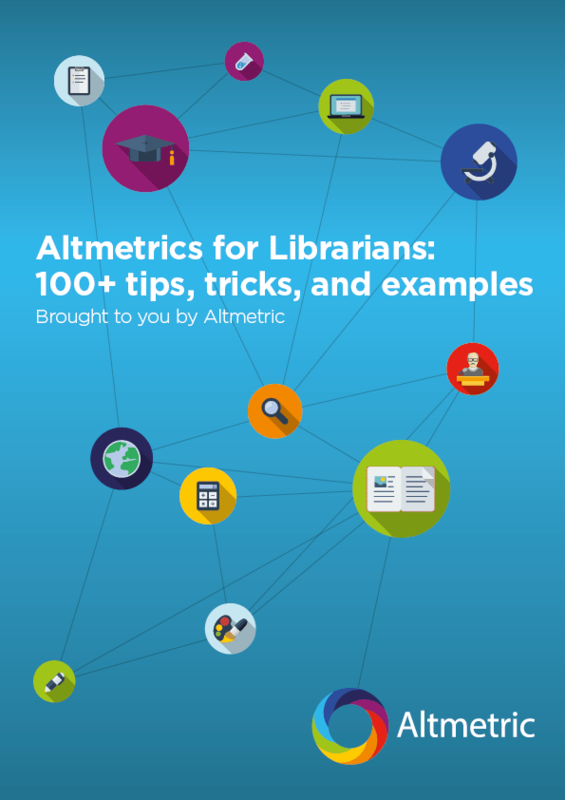 If your supervisor needs to be convinced that undertaking communications around your research is worthwhile, or if you want to persuade your publisher or funder to provide you with better support, Kudos and Altmetric can provide you with data and examples to show how quick efforts to explain and share your work can achieve great results in terms of maximizing readership both within and beyond academia. So what are you waiting for?! 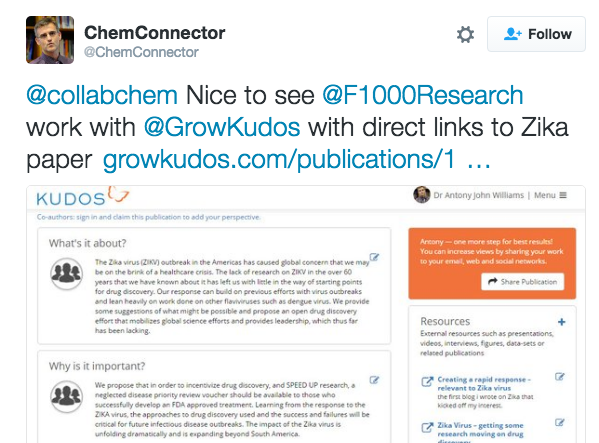 Visit the Kudos and Altmetric websites to learn more about what’s available (for free!) and get started today. With thanks to Kudos Co-founder Charlie Rapple for her input on this post.